Educator, Speaker, and Author of "What's Your Magical Moment?" Prior corporate lawyer and CFO, Gina Kloes is an inspired entrepreneur, author, corporate speaker and peak performance leadership educator and coach, as well as a wife, mother, and artist. Over her thirty years of experience, she has successfully educated and coached thousands of people from all walks of life on a wide range of life challenges related to health, relationships, family, to wealth, careers and business. She has helped people make their own successful choices to reach their goals and achieve their own personal sense of confidence, abundance, joy, and fulfillment. Her Magical Moments mission reminds people that amidst our hectic fast paced demanding day-to-day lives, there are magical moments where we find our true meaning in life. 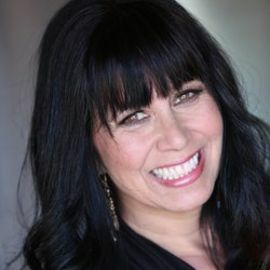 Gina is a Vedic Master and certified instructor for the Chopra Center (founded by Deepak Chopra, MD, a global leader and pioneer in the field of mind-body medicine) teaching meditation, yoga and wellness. She is an instructor for Draper University of Heroes (founded by Silicon Valley icon, Tim Draper) an internationally recognized school for leadership and entrepreneurs from around the world. She has been the lead facilitator for the Anthony Robbins Foundation Making Strides Program. Gina is also a certified practitioner in the areas of Neurolinguistics (NLP) and time-line therapy. In addition to her work with entrepreneurs, Gina has also designed several leadership and specialty programs for non-profit organizations serving the homeless and other challenged communities. She has taught at colleges, community groups, and high schools and middle schools on topics related to creating healthy personal relationships, identifying abuse, and ending domestic violence. She was featured on the Lifetime Cable Channel show Motherworks. She and her family regularly spend time volunteering at various homeless shelters and other organizations serving the greater good. Gina has also coached a high school tennis team to win the championship in their region, cycled in many countries around the world, and completed numerous triathlons. She loves the ocean, and you can see her on many days swimming near the dolphins in the surf near her home. Her true inspiration comes from her loving family and their many friends and the magical moments they continue to create and share together.